TalentSplash is a social media site for talent, fans and businesses where they can connect and support talent all over the world. 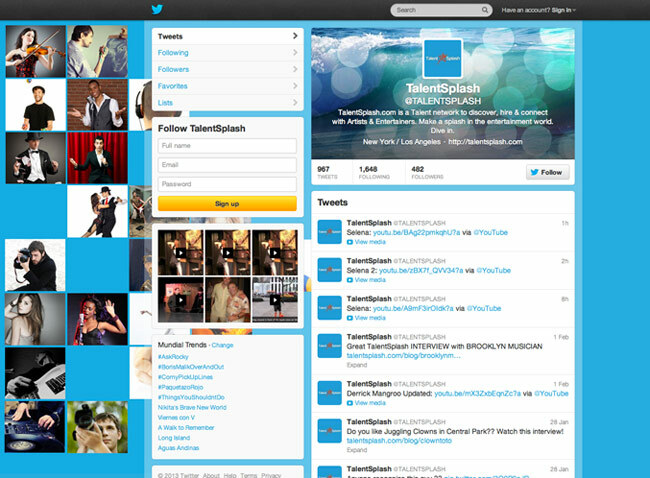 Their bright new twitter background features shots of different types of talent that you can find on TalentSplash, everything from clowns and DJ’s to painters and singers. The header image features a wave image that TalentSplash utilizes in their imagery, and gives a nice look to the profile.